This spacious ground floor one bedroom apartment is air conditioned, fully tiled and self contained, and nestled at the rear of the complex. 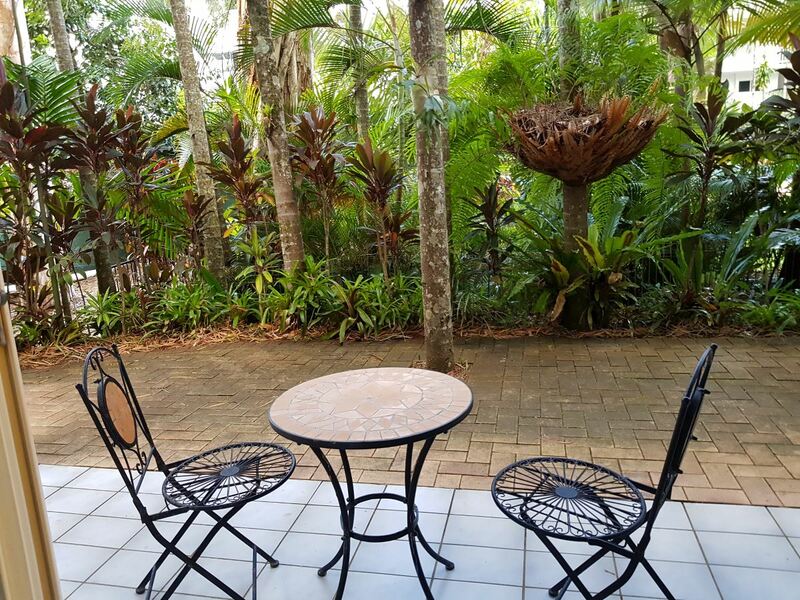 Relax with a coffee or a cool drink while enjoying the garden serenity from your patio. An ideal home for the busy person or rent out, put into the holiday pool or Air BnB for those extra returns. Agincourt at Clifton Beach is right across the road from the beach, so put on your togs and head to the beach. There’s even a heated swimming pool for the cooler months.